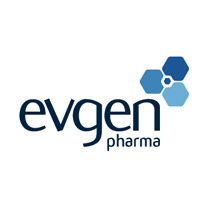 Evgen Pharma plc (LON:EVG), the clinical stage drug development company focused on the treatment of cancer and neurological conditions, announces its final results for the year ended 31 March 2018. Dr Stephen Franklin, Chief Executive Officer of Evgen Pharma Plc, said: “We are very encouraged by the interim data from the STEM trial which was announced earlier this week. Patient recruitment in both trials is on track to report around the end of the year. “Interest in the potential of sulforaphane continues to gain momentum. There are now approximately 1,800 peer-reviewed scientific publications on sulforaphane and, since the beginning of 2018, the publication rate is running at an all-time high of over five publications per week.